Nostalgia is a funny thing. We often have a soft spot for older games, movies and TV shows that maybe were far from perfect, but we grew up with and loved. 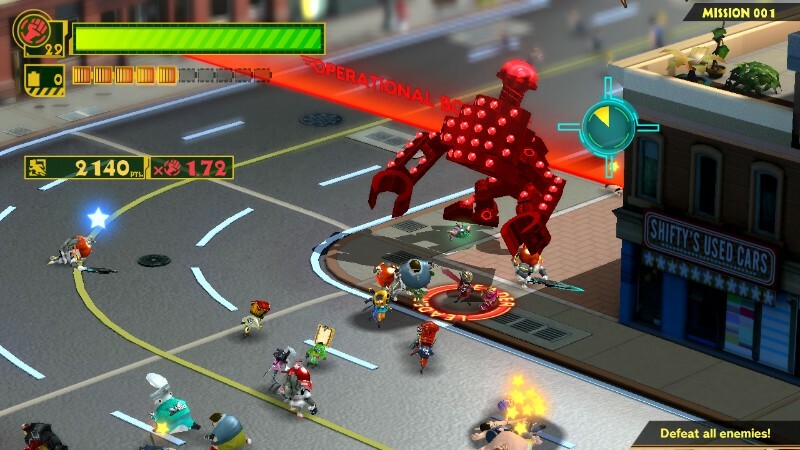 The Wonderful 101, Platinum’s Wii U exclusive, hopes to evoke nostalgia for many things, including retro games, bad Japanese cartoons and being a big kid. It certainly achieves this, and while you’ll probably have a good time with W101, it does come with some caveats, mainly a plodding pace and occasionally unwieldy controls. But more often than not, it will leave a smile on your face. 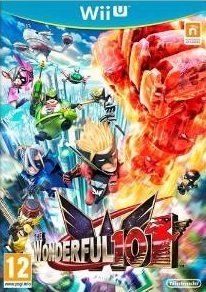 If you’ve ever loved the likes of Power Rangers or Super Sentai, The Wonderful 101 will seem rather familiar. 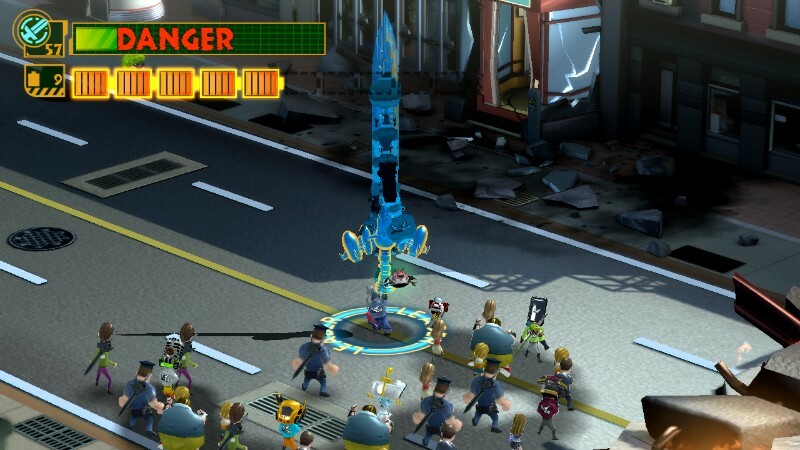 You play as a supergroup called the Wonderful 100, a sub-division of the UN with the ability to construct objects such as swords, hammers and even bridges, known as Unite Forming. Alien terrorists known as the Geathjerk Federation Armada invade Earth, and it’s up to the Wonderful 100 to stop them. The story here gleefully parodies the aforementioned shows: repeated lines when activating powers, a corny set of villains and often cringe-inducing dialogue. It certainly can grate after the 15+ hour campaign, there’s some good development of side characters and plenty of laughable moments of the good kind. 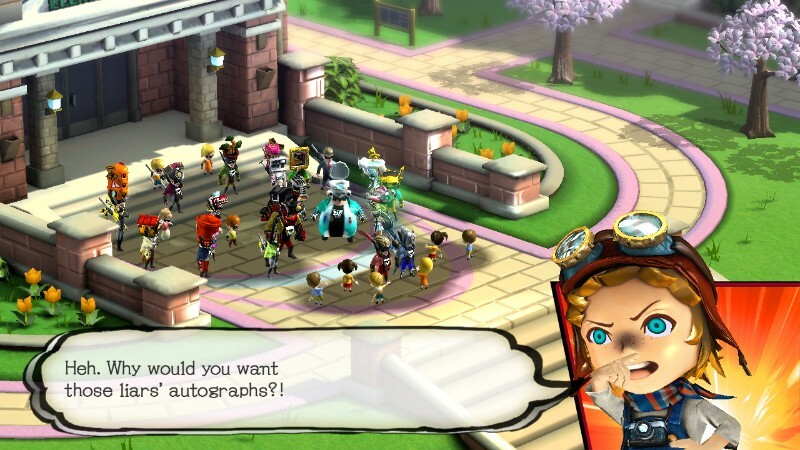 While W101 may seem familiar to fan of Hideki Kamiya’s previous games, there’s a lot more under the surface. You control not one, but a squad of characters and you can recruit civilians as you go. The action seems pretty standard at first, but Unite Forming really adds a neat twist. In essence, you can change your weapons by drawing shapes, either through your right stick or the touch pad. Draw a circle, and you activate Unite Fist. As you progress, you unlock Hammer, Sword and Bomb, the latter of which can slow down enemies. Enemies often require different weapons, such as Spiked foes which need removal with the Unite Whip. It adds an intriguing way to diversify the weapons, as drawing bigger shapes allows you to wield larger versions of said weapons, and you can also perform multi-attacks at the same time with efficient drawing of shapes. You ain't seen LEGO like this! The only issues stem from the controls. Whether using the touch screen or right stick, drawing shapes can be cumbersome. Earlier shapes aren’t too bad, but as you need to draw more complicated shapes – some involving pauses which can be irritating to time – it begins to break, especially when precision is necessary on harder difficulties. There’s also some Touch Pad functionality which is mixed. Some Gyroscopic segments task you with guiding your squad on the touch screen, adjusting the camera with motion. The camera becomes incredibly obscure in these segments, and controlling them is also a pain. Other segments, such as explosive boss finishers, are fun though, and W101 hits more than it misses. It’s definitely the extravagance which shines here. Bosses, despite the technically weaker hardware, are massive in scale and fill the screen. They’re tactically challenging, and often breathtaking in their sheer absurdity. Think of it as a kid-friendlier Bayonetta. 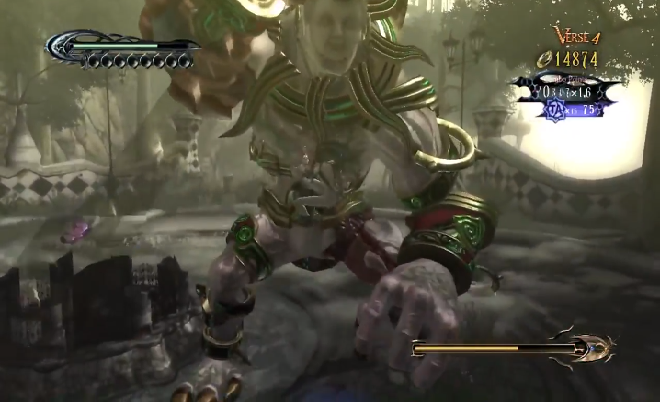 The cutscenes are often tongue-in-cheek, silly and exuberant, and the varied levels are often a joy to explore. Particularly the final segments, which become completely insane, are tiring in their insanity. 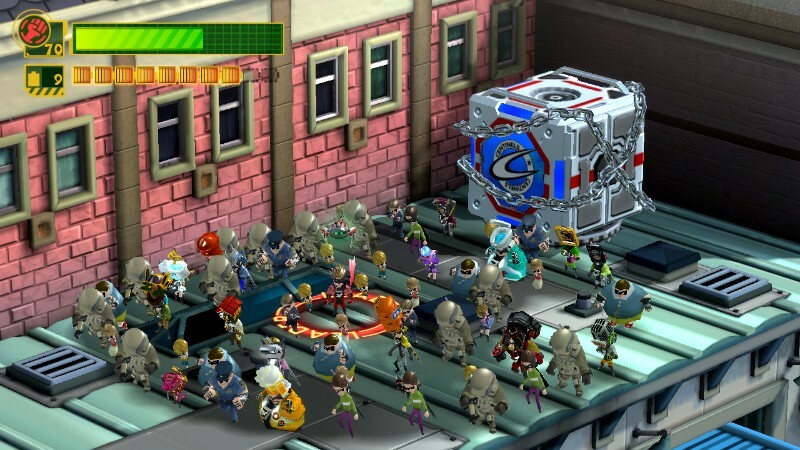 But whereas this kind of crazy was tolerable in a shorter game like Bayonetta, Wonderful 101 is a lot longer. Taking nearly 20 hours to finish, there’s very little quiet time, and it can become tiring as you drag yourself towards the end. There’s a lack of finesse in the pacing, feeling like a non-stop character action game but lacking the brevity and concise length to prevent tedium. 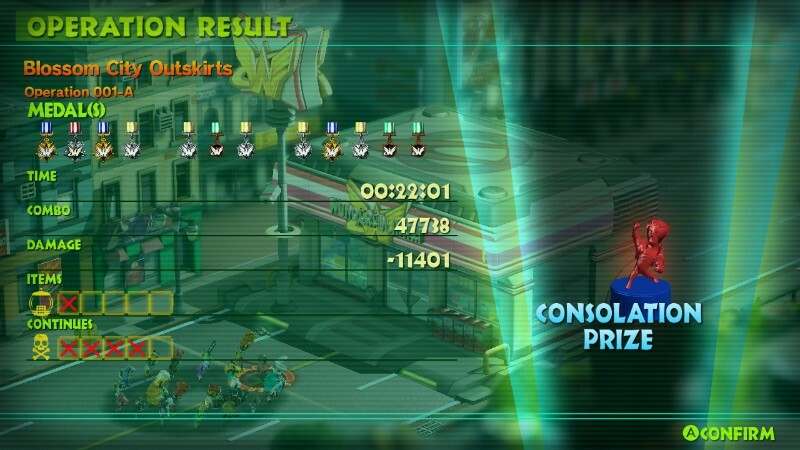 But despite all this, when The Wonderful 101 clicks, it is definitely a fun game. Once the surface peels away, there’s a deep and satisfying game to complete. Though finishing W101 is achievable, considering you can retry segments endlessly, mastering them is a satisfying challenge. Those who can build a large combo while avoiding damage and finishing fights quickly, can earn more points and earn those Pure Platinum ratings. This feeds back into the Shop, where you can buy more attacks, skills and Custom Blocks, allowing you special abilities which allow you to further improve your offence and defence. You can also recruit 100 individual members, and levelling up these characters earns you more upgrades too. There’s just a lot to delve into, even if the pacing and repetition can drag. And though the challenge is rewarding, some elements of the game are poorly or not explained at all such as the crafting system and advanced moves. Platinum’s sense of style is fully on display. The visuals can be a bit technically inconsistent, such as low-poly character models and frame rate issues. But levels are often colourful and attractive, cut-scenes are often exuberant and beautiful to witness, bosses are beautiful and larger-than-life, and some of the animations are both gorgeous and hilarious. Though there are some oddly perverse bits, they don’t last too long. Characters are made all the more memorable by great voice acting and cheeky writing which often features obscure references, making all the easter eggs more fun to uncover. Whether it’s the retro segments, including classy homage’s to Punch-Out, or the sheer absurdity of Wonder-Red constantly remembering lines of introductions for characters, you’ll be hard pressed not to crack at least one smile throughout the game. 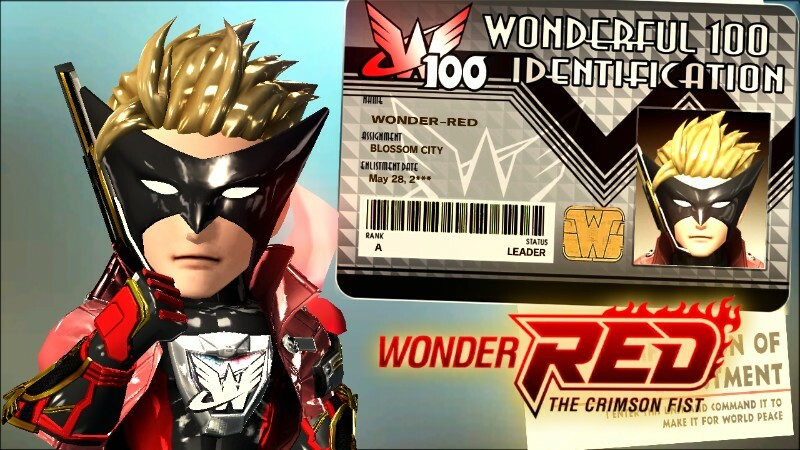 So while inconsistent at times, the ambitious Wonderful 101 is worth experiencing for Wii U owners. It has some very fun, clever elements that can be bogged down by a combination of tacked on functionality and a lack of brevity, perhaps due to Nintendo not curbing Platinum’s excess. None the less, the game is an innocent, childish and fun throwback which will please both older, nostalgic gamers and younger players looking for something bright and colourful. In the end, you’ll be left more pleased than frustrated.